Dubai: The Pakistan Super League (PSL) has a new name on the trophy in Quetta Gladiators. 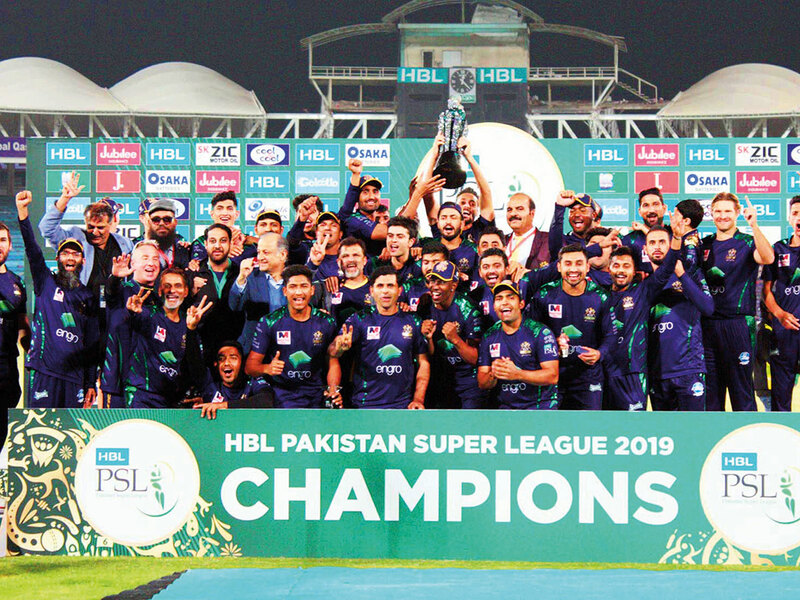 The PSL silverware that eluded the team twice despite reaching the final in 2016 and 2017 was lifted by skipper Sarfraz Ahmad on Sunday night at the National Stadium in Karachi through an eight-wicket win over Peshawar Zalmi. Their title triumph is the culmination of the hard work put in by the Quetta team management, led by their mentor and legendary batsman Viv Richards. He inspired one and all through not only his tips but also through his aura. The hero of the match was Quetta’s 18-year-old right-arm medium pacer Mohammad Hussnain, who grabbed three crucial Peshawar wickets. The youngster’s spell of 3-30 restricted Peshawar to 138-8 in 20 overs. Chasing the score, Ahmad Shehzad’s 51-ball unbeaten 58, with six boundaries and a six, helped Quetta reach the target in 17.5 overs. However, it was Hasan Ali of Peshawar who bagged the best bowler of the tournament taking 25 wickets at an average of 13 with an economy-rate of just under seven. Though Hussnain was the hero of the final, it was Quetta’s experienced campaigner and Australia’s legendary all-rounder Shane Watson who played a pivotal role in the team’s triumph. He emerged as the tournament’s leading run-getter with 430 runs from 12 matches at an average of 43 and a strike rate of 143.8. He hit the most number of fours (43) and sixes (22) in the tournament. He was rightly adjudged the player of the tournament and best batsman.